Far away from the buzz of the city, lost to the world, a monastery sits in a snowy mountainous slope. A small stream flows beside it, weaving its way slowly through a barren rocky landscape. An ibex walks furtively up to the water and dips its tongue in the freezing current. The wind is a slow melancholy tune that the mountains sing to the winter; calming her down, asking her to be merciful – asking her for a respite. A monk walks out onto the rooftop, gathers his robes around him and lifts a conch to his lips in the call for prayer. As the call fills the air, a sliver of sunlight peeps through the winter haze and rests on the pinnacle of a stupa at the threshold of the monastery. The monk stops. Sits down. Blinking at the lone ray of light, he smiles quietly at dawn tiptoeing through the monastery gate. As human beings, we are steeped in the mundane and the chaotic. Often, the drudgery of work and hectic existences leaves us in a quest for peace and silence. Our purpose is not to provide you with the superficial experience of a conventional packaged holiday. We, at Ladakh Calling try to make every holiday unique and personal. Taming the rugged beauty of Ladakh into a set schedule – an itinerary – is not something that we are attempting here. We are not here to cage the myriad experiences of Ladakh in a post card or a photograph. The experience, we hope, moulds itself in harmony with your own impressions and responses to the places you visit and the diverse communities, landscapes and cultures you encounter. We want you to be part of this ongoing celebration of beauty, and go back with moments that have breathed their magnificence into your being and etched themselves firmly in your mind. 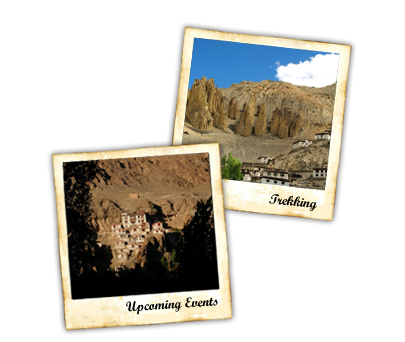 So let us embark on a journey, and find out together what we can do to make your stay in Ladakh meaningful. 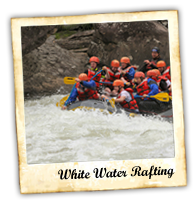 We organize summit expeditions, treks, cultural trips, Jeep safaris, wildlife tours, mountain biking, white water river rafting, remote home stays, alternate treks and much more.